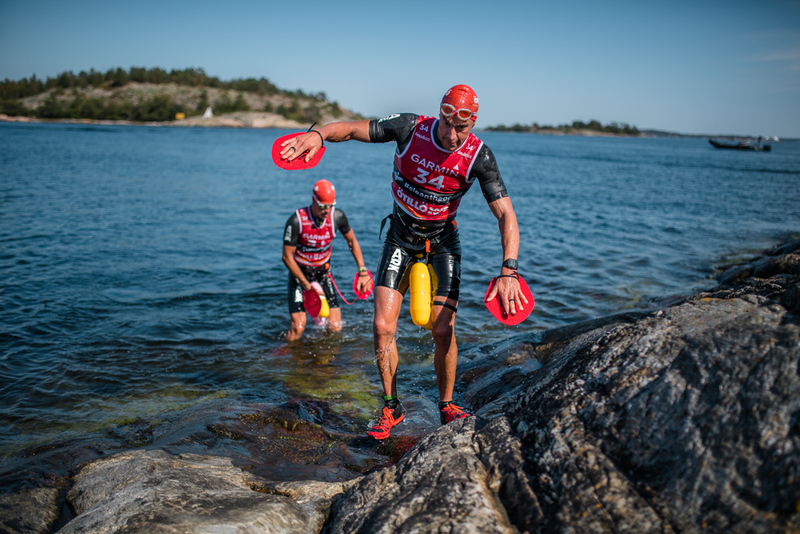 The top teams pushed the pace to incredible speeds at the 13th edition of the ÖTILLÖ Swimrun World Championship, one of the toughest one day races in the world. 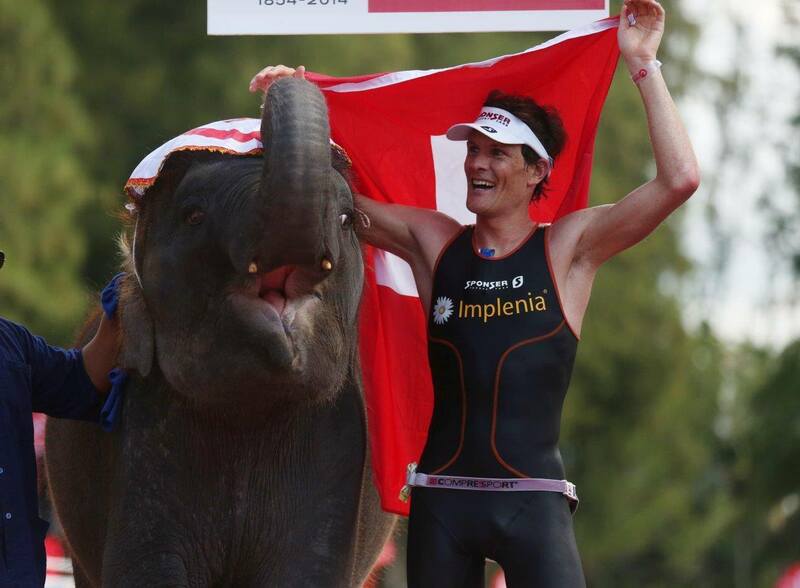 Conditions were ideal for a quick pace on the 75 km long race course in the Stockholm archipelago but no one had expected the course records in each category men, mixed and women to be crushed with such incredible times. 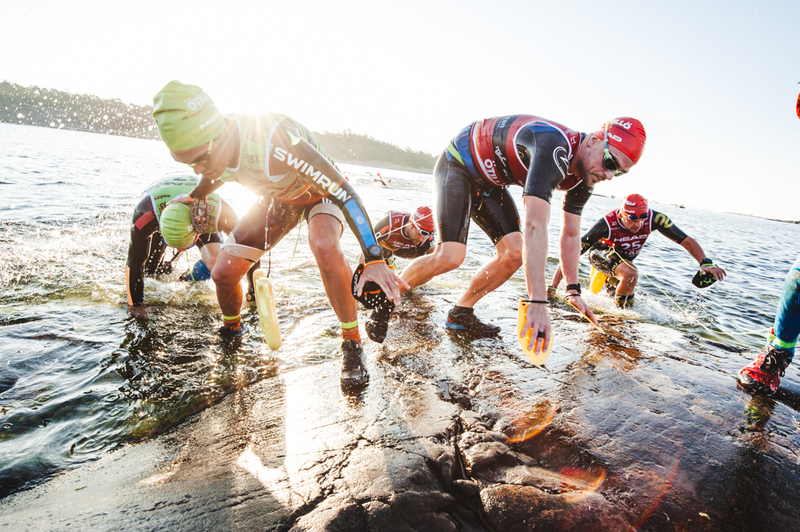 With many aspiring top teams, it was impossible to anticipate who would come out as winner of the 2018 edition of the ÖTILLÖ Swimrun World Championship. It proved to be a true nail biter in both the men’s and the women’s category with teams racing neck and neck through most of the extremely long course. Only seconds kept the three top men’s teams apart for hours, until Fredrik Axegård and Alex Flores (SWE) finally managed to pull away and set a new incredible record as the fastest team ever around the course with 7 hours, 39 minutes and 25 seconds, meaning 19 minutes faster than last year’s course record! ”We couldn’t even in our wildest fantasies imagine to finish this fast! You don’t really know what the other teams are doing so just have to keep going, even if it’s painful and even if you have the worst cramps. We had decided not to let anyone go. We aimed for sub eight hours and a podium finish but this is just amazing!” said the elated team Axegård and Flores at the finish line. The undefeated duo Annika Ericsson and Kristin Larsson (SWE) had a fierce battle against second placed women’s team Fanny Danckwardt and Desirée Andersson (SWE), who led a big part of the course but finally finished 3,49 minutes after the leaders who beat their own record from 2016 with not less than 36 minutes. ”Today’s conditions were just perfect, warm water and no wind. We have been able to race properly without being stiff and cold as previous years. We also met really tough competition this year so we had to keep on pushing”, said Kristin Larsson at the finish at Utö after the team’s third world championship gold in swimrun and record fast time in the women’s category. In the mixed category Martin Flinta (SWE) and Helena Erbenova Karaskova (CZE) held a comfortable lead over the second mixed team but raced with the top ten men’s teams and finished 8th in total with the impressive time 8:16:15, which is 33 minutes faster than any previous mixed team at ÖTILLÖ. 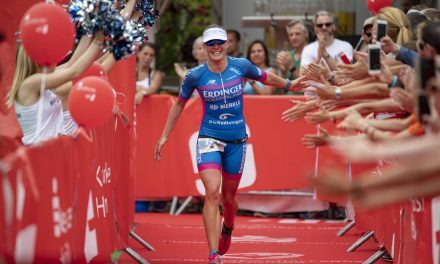 Flinta and Erbenova Karaskova have been unbeatable in the mixed category all year at the ÖTILLÖ Swimrun World Series. They are still wearing the golden bib and if they win at ÖTILLÖ 1000 Lakes in end of September they will win 33 000 € (after six wins in a row at the ÖTILLÖ World Series). 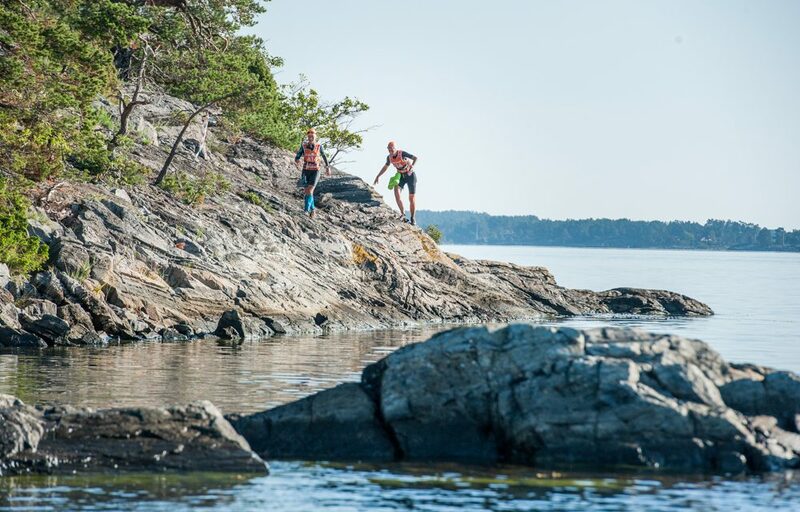 The 13th edition of ÖTILLÖ saw 159 teams of two from 25 nations tackling the 75 km long course, with 65 km trail running and 10 km open water swimming over and between 24 islands in the Stockholm archipelago. The stunning Stockholm archipelago consists of over 24 000 islands. Competitors of the ÖTILLÖ Swimrun World Championship run and swim in the Baltic Sea, crossing some of the most beautiful parts of the archipelago, from the sailing mecca of Sandhamn to the “island of love”, Utö. They encounter summer homes and uninhabited islands, they run on slippery rocks, beautiful forest trails and swim with currents. Racing with the elements of nature is unique. ÖTILLÖ is long and it is painful. As a competitor you need to be well prepared, race it wisely with your team mate to excel and find a pace that will take you all the way to the finish line, making the cut offs before dark. 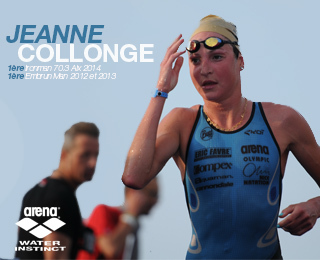 NextNew race record for Challenge Almere-Amsterdam!